The General Assembly of the Association is made up of all members in all member categories, who are current in their payment of the established annual dues of the Association. All members are entitled to elect members to the Board of Directors by category of membership. 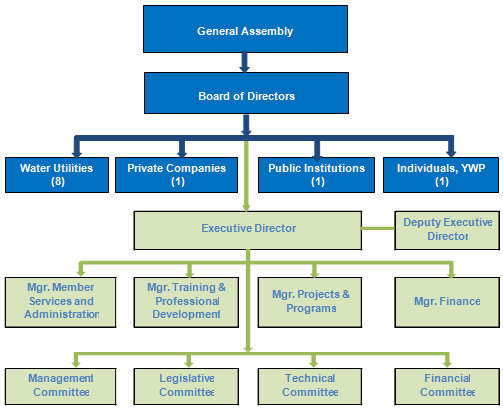 The Board of Directors is composed of not less than eight (8) members and is elected once in three years by the Members of SHUKALB as follows: Utility Directors (8) with two (2) elected from each of four defined regions of the country; one (1) representative from the Private Sector members; one (1) representative from the Public Institution members, and one (1) representative from the Individual Members. 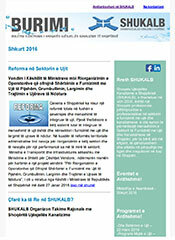 In addition, the Young Water Professionals of Albania are represented on the Board by their Chairperson.